SACRAMENTO, Calif. /California Newswire/ — In tribute to Earth Day 2018, California Safe Schools (CSS) honored the following 2018 Earth Day Heroes with awards and commendations for their exceptional efforts to protect human health and Mother Earth. “In honoring these phenomenal, committed individuals on Earth Day, we are acknowledging the hard work and collaboration that enables us to protect not only current generations, but future generations to come,” said Robina Suwol, founder and executive director of California Safe Schools. CSS honors Mary for her efforts as a dedicated environmentalist, Health & Wellness Educator, and her exceptional work with SafBaby, a health and wellness website with renowned pediatricians, homeopaths and environmental experts informing about lifestyle choices that help children and families thrive. Mary has also helped schools integrate amazing recycling programs, composting and organic gardens, and chemical-free cleaning products and school supplies. CSS celebrates George Leddy for his remarkable efforts as an Adjunct Professor of Environmental Science at Los Angeles Community College. George’s strong moral compass has greatly influenced thousands of lives, and his incredible leadership has led to greater protection of human health, the environment and our ecosystem. CSS honors Mia Torres, an extraordinary 13-year-old Los Angeles Unified School District 8th grade student for her academic leadership and athletic excellence. Mia is also being honored for the successful program she created that provides hundreds of personal health gift packages to homeless women throughout Los Angeles County. Mia’s noble efforts clearly demonstrate that you are never too young to make a difference! For more than three decades, Marybeth Schwartzenberger, has created exquisite works of art that express her love of nature, color and texture. Schwartzenberger’s work is inspired by natural forms, and she uses her materials to convey the colors and textures of our world. Her spectacular works have been exhibited extensively throughout the United States as well as the Southern California area. CSS celebrates Savannah Medina, the outstanding Youth Director of the Del Amo Action Committee, an environmental health and environmental justice organization located in Torrance. Savannah’s compelling testimony and countless communications with government officials, regulatory and enforcement agencies regarding pollution, toxins and wastes dumping, especially the waste dumped in her community, have encouraged residents of all ages to come forward to tell their story. A resident of Upland, Rita Loof is celebrated for her ceaseless efforts to reduce air toxic emissions, and ensure a healthier planet or future generations. Rita’s significant efforts in spearheading much needed legislation that requires that California school children with disabilities be equally protected under the Americans With Disabilities Act is legendary (Senate Bill 1327 (Soto)). Rita works daily to make the world a better place for all. 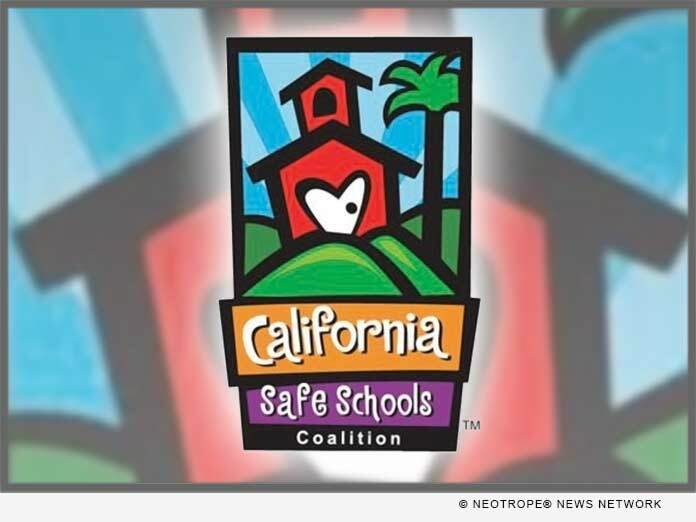 Founded by Robina Suwol in 1998, California Safe Schools (CSS) is a children’s environmental health and environmental justice non-profit. CSS achieved national and international prominence by spearheading the Los Angeles Unified School District’s (LAUSD) Integrated Pest Management (IPM) Policy, and has since been a leader in protecting children’s environmental health. Ms. Suwol has worked to expand IPM Policy throughout California, including passage of The Healthy Schools Act of 2000. On October 6, 2005, Governor Arnold Schwarzenegger signed AB 405 (Montanez) sponsored by CSS, which strengthens The Healthy Schools Act. The bill bans experimental pesticides, whose health effects are unknown, from California K-12 public schools. As a result of these efforts, more than six million California children and hundreds of thousands of school children are protected from experimental chemicals whose health effects are unknown.